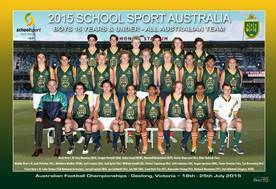 The 2016 School Sport Australia tour of South Africa is underway with highly talented Australian school footballers taking their wares to towns and villages across South Africa as well as experiencing cultural, social and scenic delights as they mingle footy and travel. Amid the excitement, the touring team will play in three matches against the South African Lions and possibly another team. The players will also be heavily involved in clinics with school kids across the Johannesburg-Pretoria-Potchefstroom triumvirate as well as later in the journey across Cape Town and Khayelitsha. The itinerary is exciting, and for many of the players may forever be a highlight of their personal lives as well as footy career. But the opportunity for these players to work with AFL South Africa to grow the game across the nation might be the most valuable legacy of the journey. 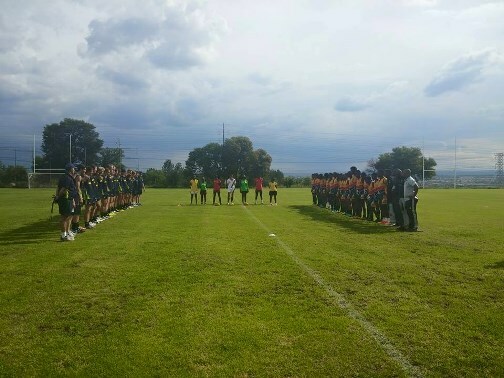 The squad is already in South Africa, after having assembled prior to departure for a two day training camp where they were hosted by the Fremantle Dockers and West Coast Eagles, attending talks and being involved in some skills testing. The players are Australian school boys, fifteen years and under, selected as the best in the nation after having progressed in their selections from school boy competitions at district and state level before gaining national representative selection. Many students from previous excursions over the years have gone on to AFL careers at the highest level. The itinerary for these lads commenced in Johannesburg before heading to Pretoria the next day and conducting an AFL Footywild clinic in the Thembisa Township. The first match of the trip was played (scores below) after a visit to Soweto, with the South African Lions their prey. The Australia High Commissioner to South Africa was invited to attend. The itinerary this weekend sees the players in Pilanesberg National Park and visiting Sun City. The will also be conducting another clinic in conjunction with AFL South Africa in the town of Ledig before their second match on Sunday. Monday and Tuesday will see the crew heading to Potchefstroom and conducting another clinic in Ikageng township before heading to the villages of Thakaneng and Tshwarangang where they will play their third and final match against the South African Lions. The tour then heads south by plane to Cape Town where the players get to relax and take in the sights of Table Mountain, Robben Island, Cape Peninsular and Boulder Beach. They will also be involved in another clinic with Under 14 kids in Khayelitsha, an outer suburban part of Cape Town, where the game is growing rapidly. This proves to be an amazing tour with tremendous opportunities for all involved, both the touring students and the people of the villages and teams they will meet with. World Footy News will updates scores from the matches, including the result of Game 1 yesterday in Johannesburg.